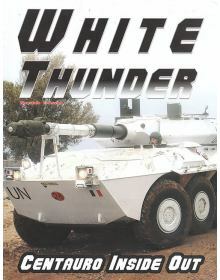 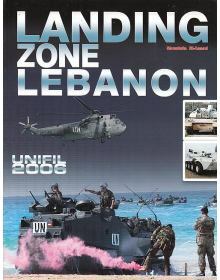 LANDING ZONE LEBANON - UNIFIL 2006.Colour photo album containing photos of troops and equipment of t..
BLUE STEEL No 4. 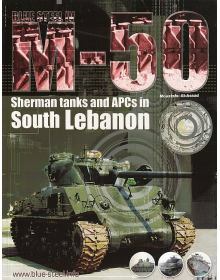 M-50 SHERMAN TANKS AND APCs IN SOUTH LEBANON.Συγγραφέας: Moustafa El-AssadΈκδοση: B..
BLUE STEEL No 2. 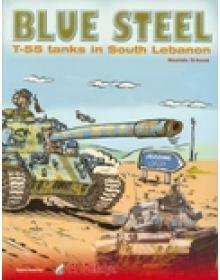 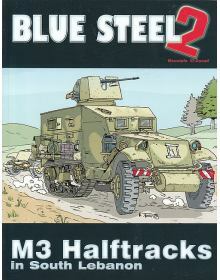 M3 HALFTRACKS IN SOUTH LEBANON.Συγγραφέας: Moustafa El-AssadΈκδοση: Blue-Steel (200..
Συγγραφέας: Moustafa El-AssadΔιαστάσεις: 280 X 217mmThis book is all about the Tiran and T-55 tanks ..
WHITE THUNDER: INSIDE OUT CENTAURO - Italian Armor.The Centauro Armored Car is by far the best ..